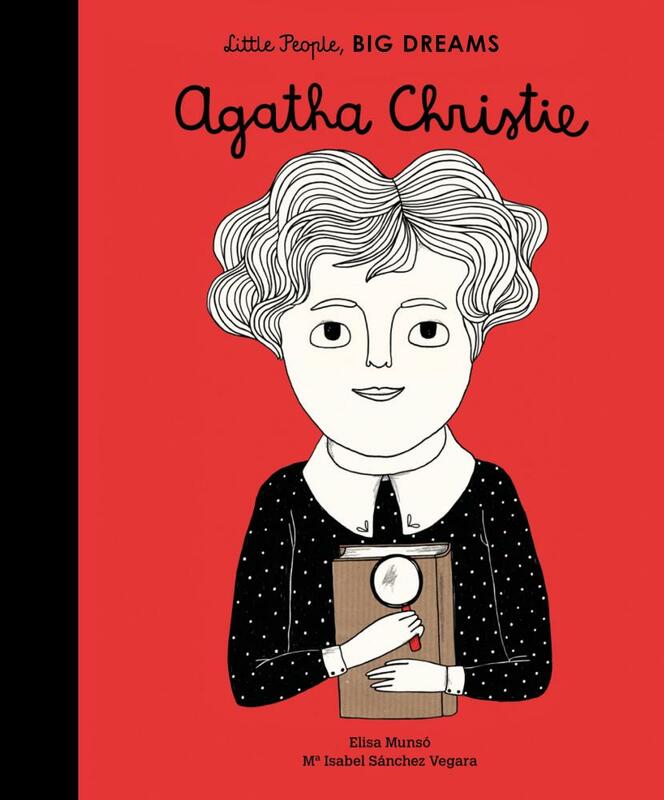 When Agatha Christie was a young girl, she would read lots of books with her mum … and she always offered ‘a better idea for how the story should end’! It seems she was always destined to be a writer, as showcased in this title in the ‘Little People, Big Dreams’ series that highlights successes of high-achieving women in history. Agatha’s wartime nursing experience taught her much about poisonous concoctions, and her imagination ‘wouldn’t stay quiet’. After the war, she began to write her own stories – great, murderous thrillers that hooked her readers immediately. She invented the great detectives, Hercule Poirot and Miss Marple, and many of her books became stage productions. This hardcover picture book conveys Agatha’s story in simple text targeting readers aged 5–8 years. Each double-page spread features no more than 1–3 sentences. A longer biography appears at the back of the book, featuring four black and white photographs. It mentions the success of And Then There Were None and Murder on the Orient Express, detailing how her particular writing style made her ‘the queen of mystery’. It also mentions her baffling disappearance in 1925 – a personal mystery that sparked a nationwide search! Other women featured in the ‘Little People, Big Dreams’ series include Amelia Earhart, Frida Kahlo, Coco Chanel Maya Angelou and Marie Curie. This terrific series of books is definitely aiming to empower children (particularly girls) to follow their childhood dreams and make a difference in the world.